It has come to our attention that our new president lacks a yacht. That’s right: Donald J. Trump, who is so rich that our eyeballs would burn right out of their sockets if we so much as glimpsed his tax returns, is without a suitably luxurious means of floating on our nation’s great inland waterways or along its rocky shores. Our commander-in-chief owns a Boeing 757, a Cessna Citation X, a trio of helicopters, a pair of Rolls Royces, a Lamborghini Diablo, and a custom-made, gold-trimmed motorcycle from Orange County Choppers. But when it comes to watercraft, President Trump is up that proverbial creek without so much as a paddle. Once upon a time, we the people supplied our presidents with a floating getaway. Leaders as politically dissimilar as Herbert Hoover and Jimmy Carter cruised aboard the 104-foot USS Sequoia, as did presidents Kennedy through Ford, while Truman and Eisenhower enjoyed the Williamsburg. But the most famous and storied presidential yacht is the USS Potomac, which was a favorite escape for President Franklin D. Roosevelt from 1936 until his death in 1945. Since 1981, the Potomac has been berthed in Oakland, California. In 1995, it opened to the public for tours and excursions on San Francisco Bay. For people of Dropkin’s generation, the Potomac is a tangible link to Roosevelt, widely considered the greatest U.S. president of the modern era. For many more, the Potomac is a symbol of a time when America was united at home and abroad, weathering the Great Depression and winning World War II, albeit at the expense of Japanese Americans who were incarcerated during the conflict. Ships like the Electra earned their keep by foiling such tax cheats, but the Electra did this virtuous work for only a few months before it was selected, in 1935, to be President Roosevelt’s official yacht. “During the first years of his administration,” Dropkin says, “Roosevelt used a Department of Commerce vessel called the Sequoia as his presidential yacht.” President Hoover had sailed on the Sequoia, too, but only after Roosevelt’s election, during the final months of 1932. Upon taking office, Roosevelt, who enjoyed being on the water more than his predecessor, took to the Sequoia whenever his busy schedule would allow. The Sequoia, though, was not a perfect yacht for a head of state. “The Sequoia was only 104 feet long,” Dropkin explains. That meant the president’s Secret Service detail had to follow behind in a separate ship. At 165 feet in length, the Electra, when converted, would have room for two cabins for the Secret Service. Using an existing Coast Guard cutter made economic sense—the Depression was no time for extravagance, even for a new president. But there was another reason why Roosevelt got the Potomac with its steel hull and room for onboard Secret Service officers. A polio victim since 1921, the 53-year-old president required a wheelchair to get around, so if a fire broke out on the short-staffed Sequoia, Roosevelt’s life would almost certainly be in danger. 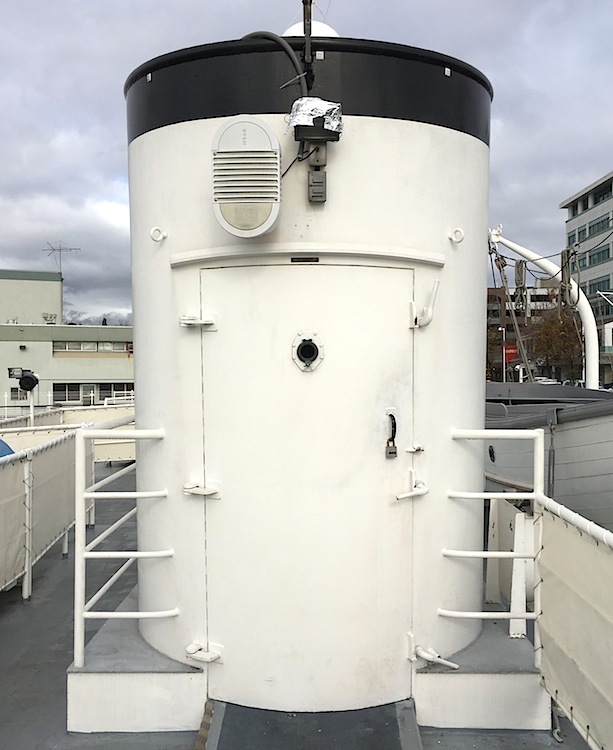 The Potomac‘s rear smokestack was converted into an elevator so the wheelchair-bound president could move freely between the ship’s two main decks. 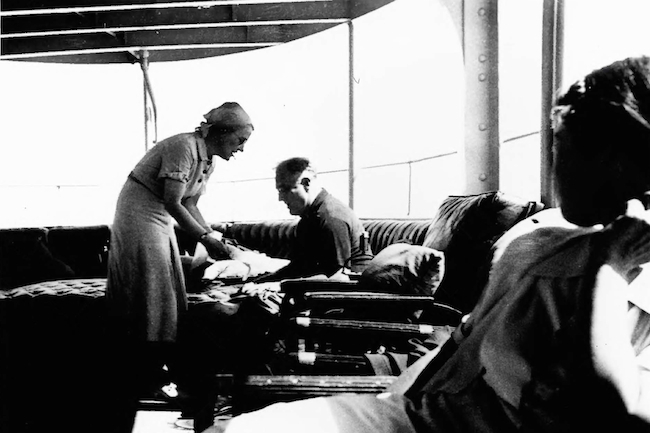 The biggest change was to install a spacious, shaded aft deck, where Roosevelt could work or entertain while enjoying river or ocean breezes. 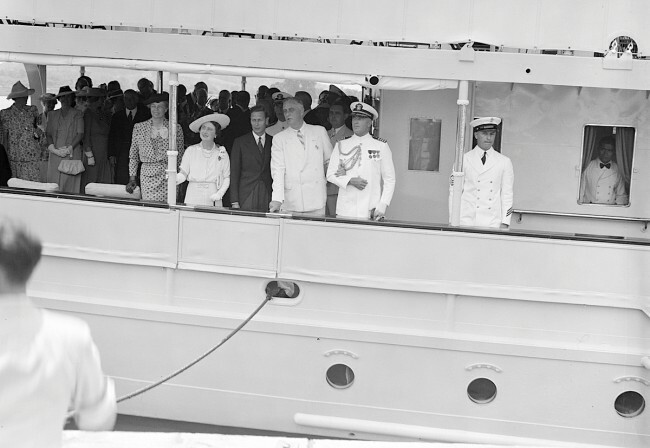 “When the ship was a Coast Guard cutter, this deck did not exist,” Dropkin says, as we walk across its teak surface, “but it was a favorite area of the president.” That’s probably because the seating on the deck was designed with the wheelchair-bound Roosevelt in mind. 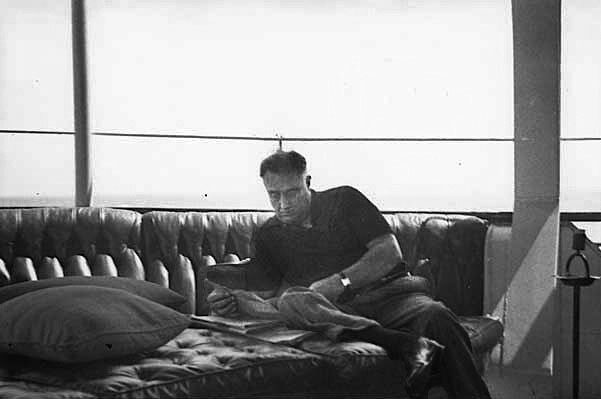 Dropkin points to an upholstered settee that follows the curve of the ship’s stern. “It’s about 4 feet deep in the middle,” he says, “to support the president’s legs, something for him to stretch out on. You can almost imagine him sitting there, drink in hand. If the Potomac was initially known for its famous, presidential passenger, after FDR’s death, in 1945, it would eventually become infamous. From 1946 until 1960, the ship was used by the Maryland Tidewater Fisheries Commission, and occasionally by that state’s governor. After that, though, it would begin a slow decline. In 1960, the Potomac was sold and pressed into service as a ferry in the Caribbean, until a different entrepreneur got the bright idea of sailing the ship through the Panama Canal to show her off at the 1962 Seattle World’s Fair. 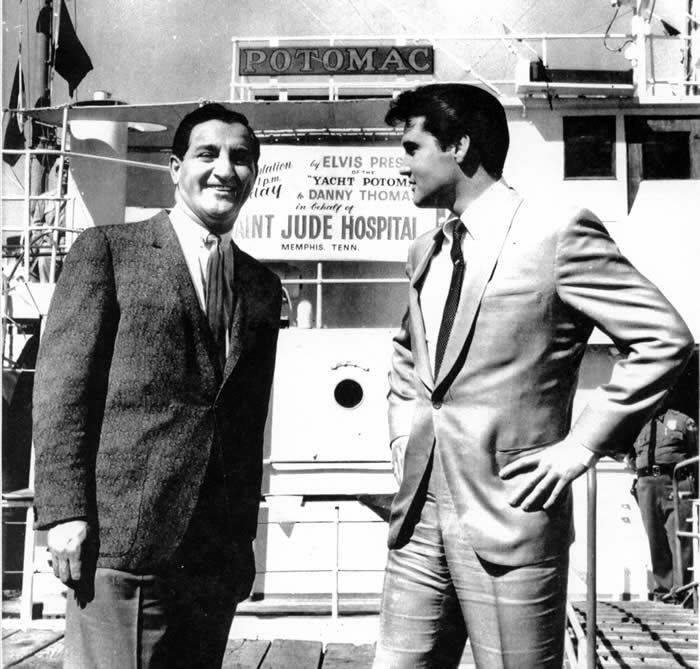 The aging vessel got as far as Southern California, where it languished until 1964, when it was purchased by Elvis Presley at an auction. Apparently, The King shelled out the $55,000 hammer price because he didn’t like the idea of seeing FDR’s yacht chopped into pieces for scrap, but never really want to own the Potomac, so he promptly donated the ship to the Saint Jude Hospital of Memphis, which just as promptly sold it to the first in a series of dreamers and schemers. By August of 1980, the Potomac would be towed for repairs to Pier 26 in San Francisco, where, the following month, it was seized by U.S. Customs and the Drug Enforcement Agency. Although drugs were never found aboard the Potomac, a ship owned by the same owner and anchored alongside the Potomac was loaded with contraband. According to Dropkin’s history of this dark moment in the Potomac’s past, a Southern California drug ring had been using the Potomac’s good name, and a fake charity called “The Crippled Children’s Society,” as a front. 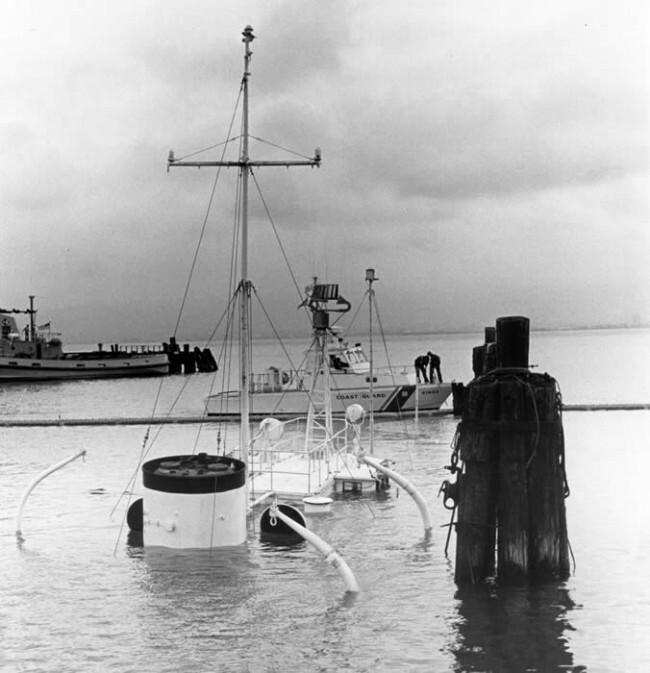 That October, the Potomac was towed again, this time to the nearby Treasure Island Naval Base in San Francisco Bay where, the following March, its hull was punctured by broken pilings, causing it to sink in 35 feet of water. The story might have ended there, but once the ship was raised and the hole in its hull was patched, the Potomac was purchased in April of 1981 at yet another auction. This time, the new owner was the Port of Oakland, whose winning bid of $15,000 was also the only bid. But the port’s then-executive director, Walter Abernathy, saw the Potomac as an opportunity for the community and historians alike. 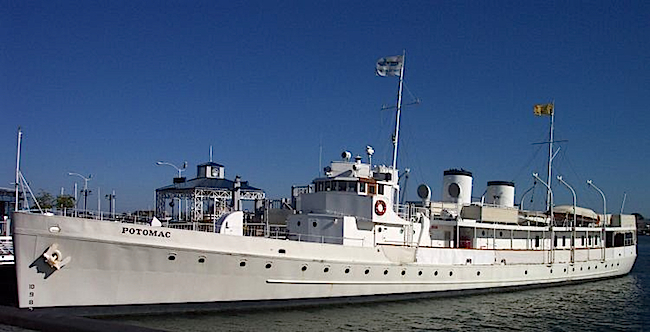 Shortly after taking possession of the ship, the port authorized “$400,000 in seed money to restore the ship to its appearance during the Roosevelt era and operate it as a historical and educational resource.” By 1983, the Potomac Association had incorporated to manage the ship’s upkeep and programs, and elected FDR’s oldest son, James, as its chairman. Finally, in 1985, a sitting president, Ronald Reagan, got involved, personally recommending a $2.5 million grant for the ship’s restoration. The grant was approved and matched, and in 1990, the Potomac was designated a National Historical Landmark. 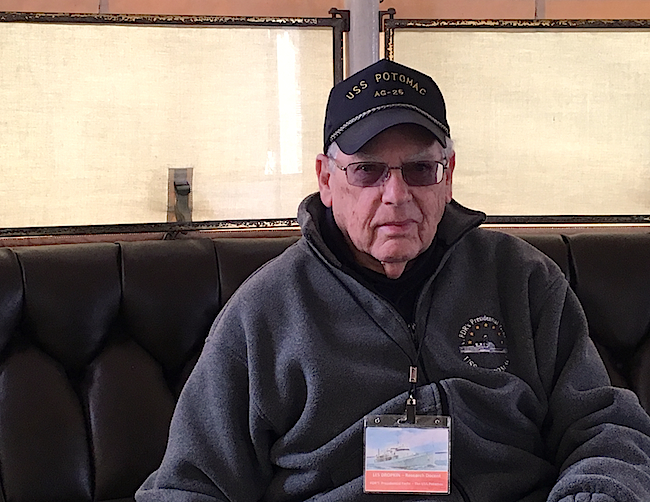 For more than two decades, Les Dropkin has been a tireless volunteer for the Potomac Association. Today, such attention to detail, as well as the $350,000 needed to pay for the Potomac’s upcoming drydocking, might seem like a luxury the country can’t afford in the face of multi-trillion-dollar deficits. But is $350,000 really all that much to honor the memory of one of our nation’s greatest presidents? After all, we are spending about half that amount every single day to protect our current president’s latest wife, who has chosen not to live in the White House with her husband, at least until their 10-year-old son finishes the school year. Naturally, most parents will be sympathetic with that decision, if not the expense. By comparison, $350,000 to help us remember the man who told a fearful nation that the only thing it had to fear was fear itself, and then proceeded to lead the fight against Adolf Hitler, seems like a rather good deal. At the very end of an otherwise entertaining article, Ben just couldn’t resist taking a cheap shot at the very charming and elegant Mrs. Trump. As Mr. Marks illustrates, Trump Derangement Syndrome is a horrible disease. Mr. Marks’ comment about federal expenditures is very timely and appropriate. At a time when we are spending about a million dollars a day to cover the new president’s own travel and family security expenses (including three golfing vacations during his first month in office), 8 hours’ worth of that security and travel to help restore the Potomac, a National Historic Landmark, seems well justified. A very nice article. Mr Dodsworth, the charming and elegant Mrs Trump is costing the city of New York somewhat around $1,ooo,ooo a DAY for police coverage for each day she chooses to reside not in the White House but at Trump Tower. That is over and above the expense for Secret Service coverage for EIGHTEEN Trump family members. Mr Mark’s innocuous comment was hardly a cheap shot, but perhaps you would enjoy some dip for the chip on your shoulder.